Yet another public space is finding itself loved to death by the onslaught of Instagrammers. 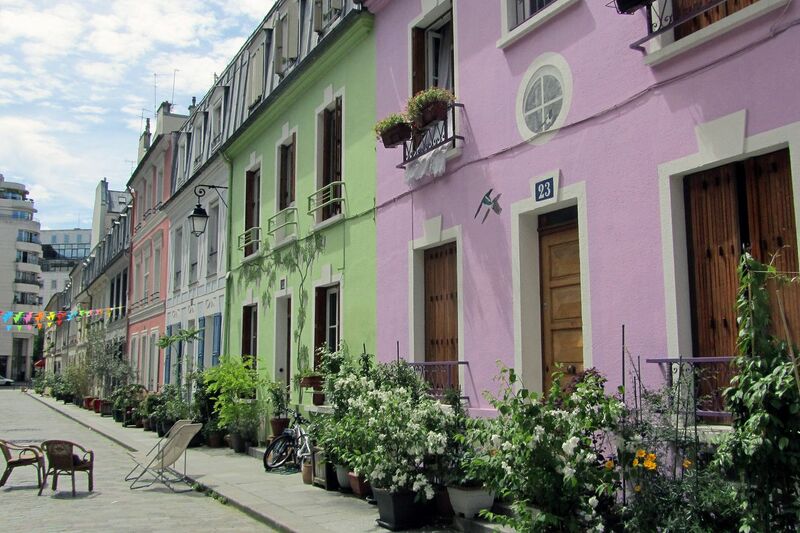 Residents of Paris’ Rue Crémieux, a car-less cobblestone street lined with pastel-colored homes, this week are demanding that the city install gates on both ends of the road to block visitors on weekends and evenings. As reported by City Lab, residents say their small, picturesque street has become overrun with tourists during those hours, who, they claim, don’t just come to quietly to admire the location, but cause a ruckus while they’re there. Rue Crémieux residents are giving the city of Paris until this summer to figure out a working solution. Still, it wouldn’t be the most severe response to a culture of over-Instagramming. In 2016, New York’s Brooklyn Heights Association discontinued its 31-year historical house tour programs after residents complained that visitors would snap, share, and tag photos of the inside of their private homes. That same year, an abandoned bridge in Washington state, which was once a hidden gem for locals, was also dismantled after throngs of thrill-seeking Instagrammers kept climbing onto the bridge, despite the signs that warned against trespassing. Other countries are also experiencing surges in tourism due, in part, to Instagram. Countries like Iceland, Peru, New Zealand, and Cuba are seeing more visitors than ever after 2014, impacting these nations’ smaller infrastructure capacities and driving local costs up for residents.